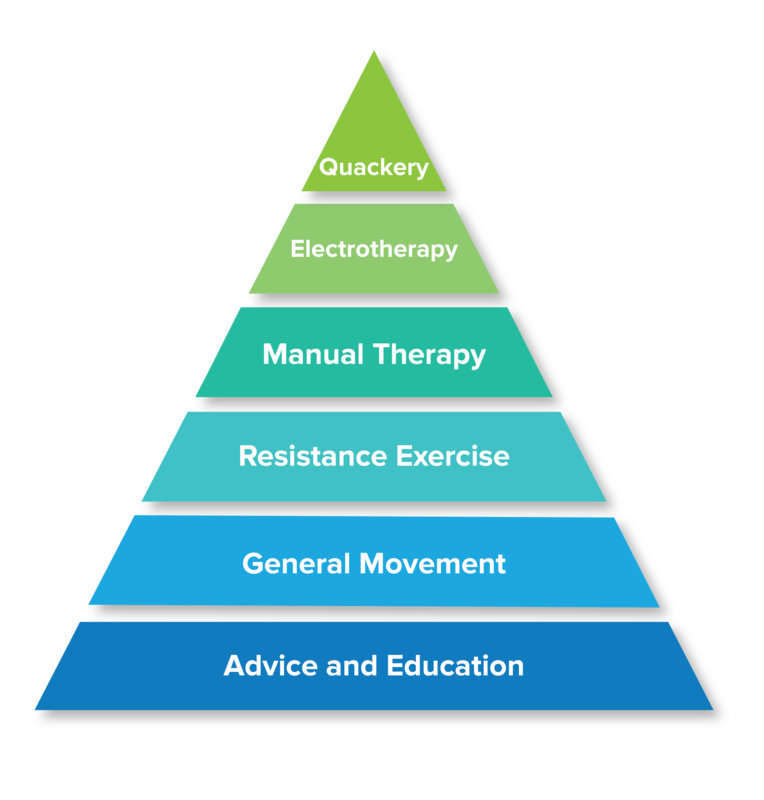 I did a post last year on reducing the chances of injury here and in the post I had a copy of a pyramid that Adam Meakins had come up with that I like a lot. Adam had placed taping etc 5th in terms of importance of reducing your chances of injury and I agree. Most non contact training injuries can be classified as training errors. That is the training load wasn’t managed well and either the volume or intensity, sometimes both, of the training was increased far too quickly to allow adaptation to occur. After training load we have strength training, movement skill, flexibility then finally we get to taping and strapping. Why so low down? 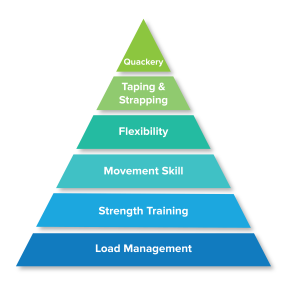 Simply because the primary reason for injury is poor load management. The other main reason would be a direct injury of some sort. This can be get tackled, hit, bumped etc that causes you to fall or the contact itself causes injury. Or an in-direct injury such as stumbling on a rock when running or the classic ACL injury that occurs when you are changing direction and there is no-one about. In other words something you couldn’t really control happened to cause your injury. “Ah, but..if my ankle had been strapped up…” No not really the forces involved in spraining your ankle in a tackle situation, or other such incident, are such that to prevent this from happening you’d have to be taped in a manner that was like being in cast. This would obviously hinder your ability to move and do what you were wanting to do in the first place. The likes of kinesio tape in terms of injury prevention just doesn’t have a place at all. It’s not going to do anything that significantly changes things in a way that will make a difference beyond you feeling like you are doing something to prevent an injury from occurring. Now this placebo effect can be strong but developing a better understanding of your body and just how robust it actually is will have a more profound effect. And trust me the human body is very robust. In rehab a roll for tape, no pun intended, isn’t really there. In terms of classic taping, to restrict and support an area, we actually don’t want to encourage this as it simply means a longer recovery period as you are extending the time that the joint is “out of order”. 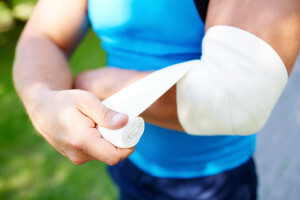 It may be that there has been a severe injury as in break, dislocation, tear of soft tissue. In these cases there will/may be a need for a cast/brace etc but the goal is to get mobile again as fast as possible. Electrotherapy in the form of TNS and muscle stim may confer a small benefit but is the effect is probably more to do with the fact that “a big shiny box and is being used to help me” than any measurable physcial effect from the treatment. The likes of accupuncture/dry needling etc pretty much fall into the category of “a pile of crap”. Any effect they may confer, as with electrotherapy, is more likely to be a placebo effect than the technique itself. If we as therapists talk to you in a manner that allows you to better understand what has happened, that the injure will heal and that recovery is going to happen etc we can have a much greater impact rather than wasting time with the likes of taping, accupuncture or electrotherapy. We can also use the time to get you moving in a way that allows you to over come the fear of a particular movement or movements. It also gives us more time to go through a series of exercises you can do at home that will help strengthen the affected area an thus increase your resiliency and robustness. To wrap things up. 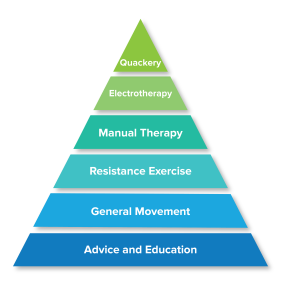 Tape, electrotherapy etc aren’t a substitute for good education, general movement and appropriate tissue loading be it in the rehab side of things or in an effort to reduce the chances of injury occuring. Next PostNext When have I injured myself and when is it the brain being careful?